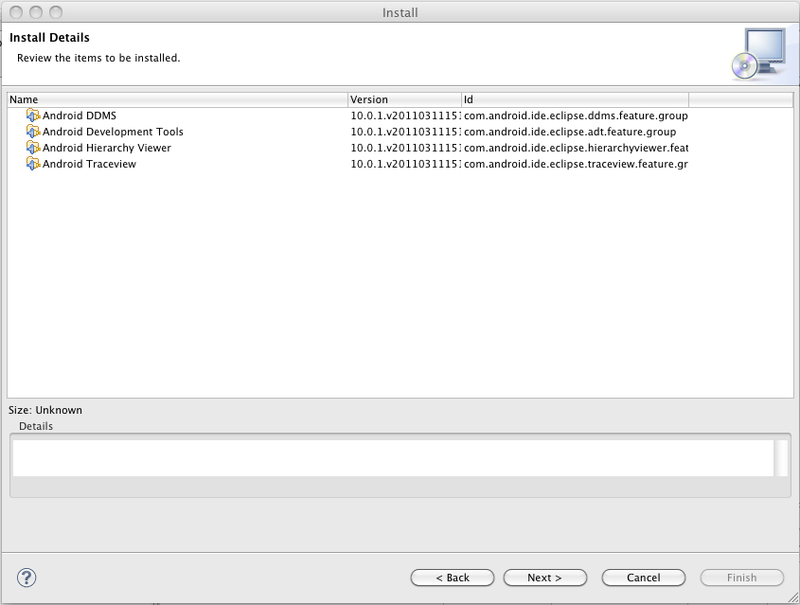 This page describes how to install the Android SDK and set up your development environment for the first time. You can find all these steps on http://developer.android.com/sdk/installing.html but here were include some screens and more details explaining each step. In Mac OS after downloading Eclipse you just have to unarchive the file (usually double clicking it) and you will see all the folders. Double clicl Eclipse.app and you are ready to start. 1.3) Make sure you have JDk already installed in your computer. Mac OS X Leopard comes with J2SE 5.0 preinstalled. 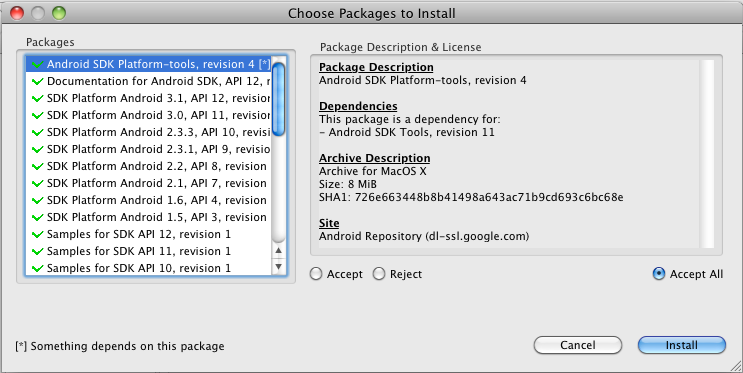 3) Download the Android SDK http://developer.android.com/sdk/index.html, unpack it to a safe location on your machine (if using a MAC OS like me). 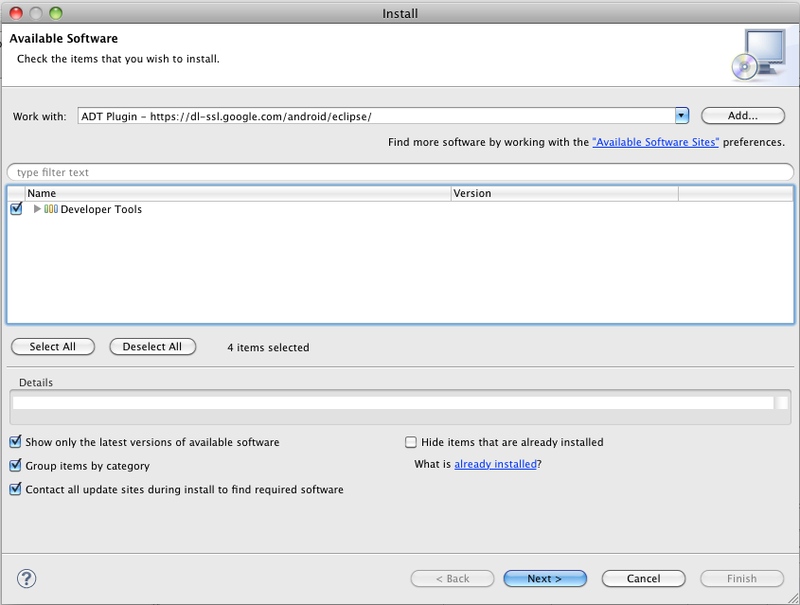 3.1) Start Eclipse, then select Help > Install New Software…. 3.4) Click OK. Note: If you have trouble acquiring the plugin, try using “http” in the Location URL, instead of “https” (https is preferred for security reasons). 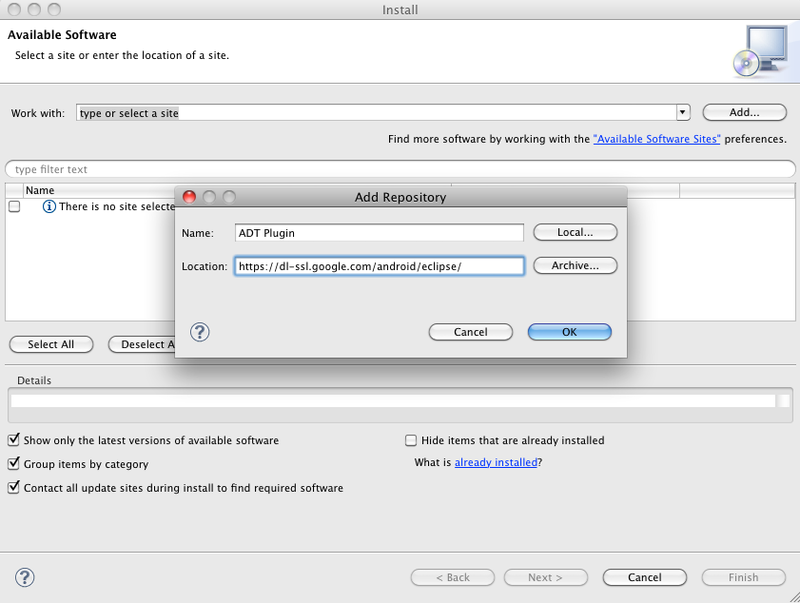 3.5) In the Available Software dialog, select the checkbox next to Developer Tools and click Next. 3.6) In the next window, you’ll see a list of the tools to be downloaded. Click Next. 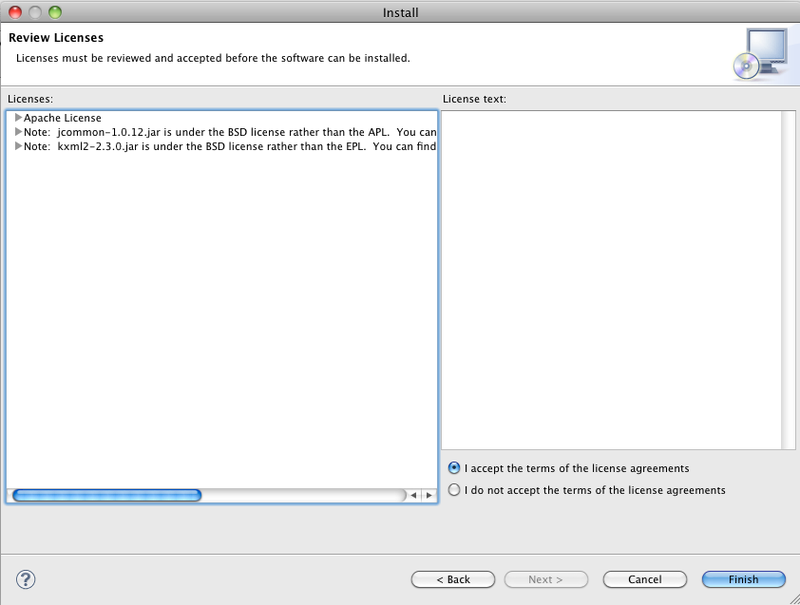 3.7) Read and accept the license agreements, then click Finish. Note: If you get a security warning saying that the authenticity or validity of the software can’t be established, click OK.
3.8) When the installation completes, restart Eclipse. 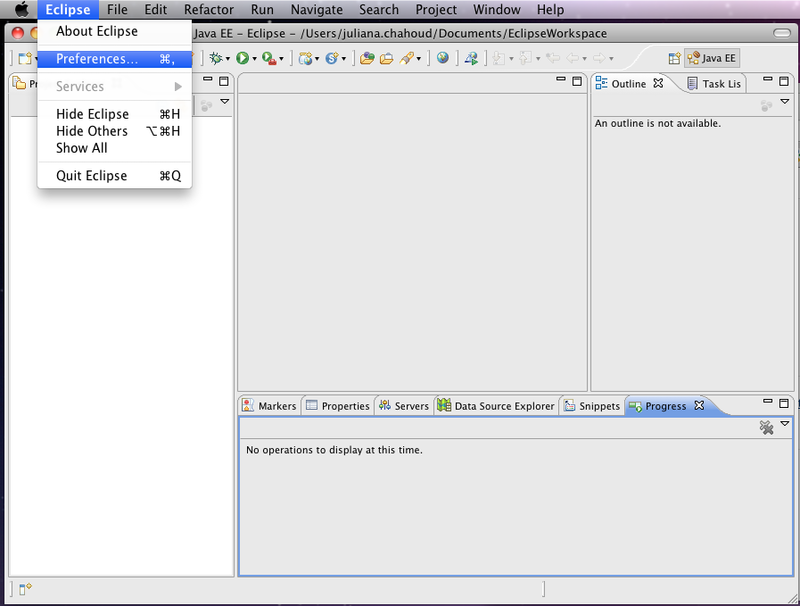 3b.1) Select Window > Preferences… to open the Preferences panel (Mac OS X: Eclipse > Preferences). 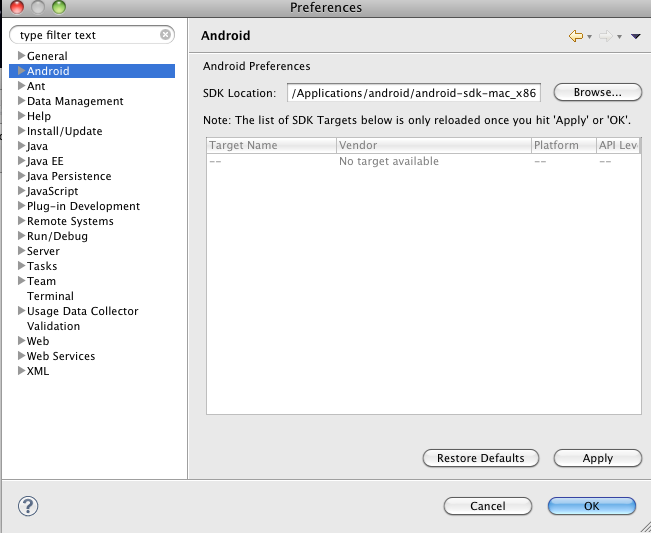 3b.2) Select Android from the left panel. 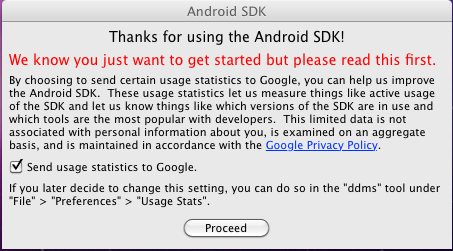 3b.3) You may see a dialog asking whether you want to send usage statistics to Google. If so, make your choice and click Proceed. You cannot continue with this procedure until you click Proceed. 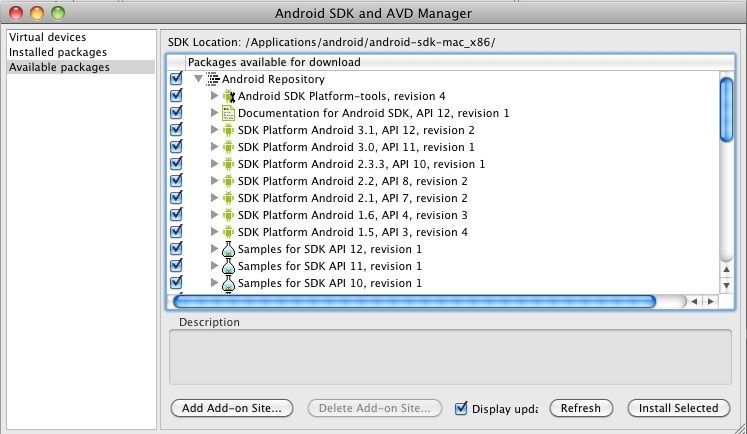 3b.4) For the SDK Location in the main panel, click Browse… and locate your downloaded SDK directory. 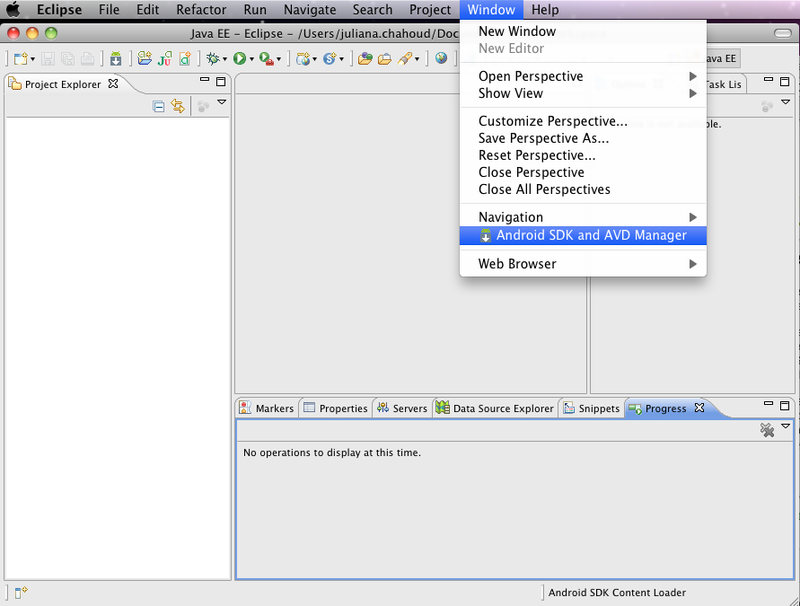 3b.5) Click Apply, then OK.
4.1) From within Eclipse, select Window > Android SDK and AVD Manager. Once you have completed installation, you are ready to begin developing applications. You can start checking out the Hello World tutorial. Very good, the best explanation that I saw.